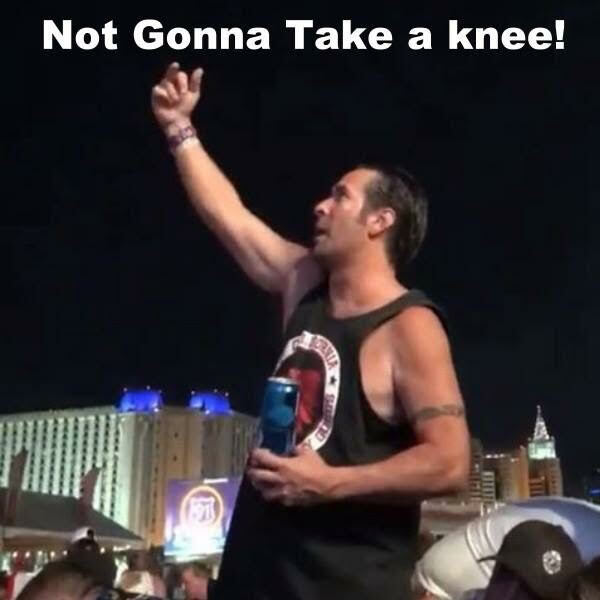 Best pic I have seen so far come out of the Vegas tragedy. Mr. American Spirit! 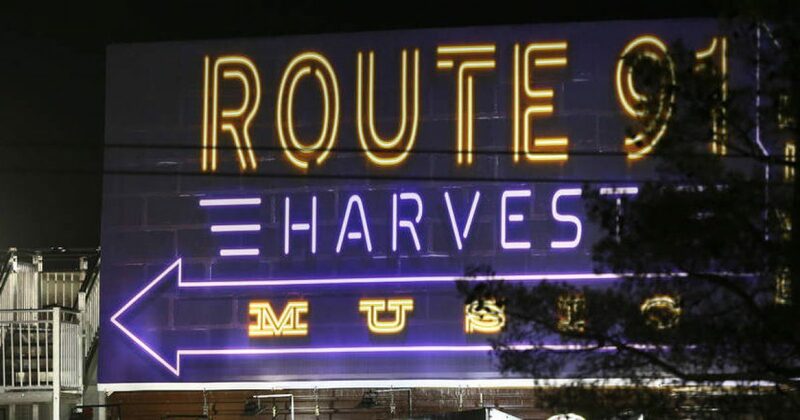 A symbol of American moxie and defiance, this photo of an unidentified concertgoer at the Route 91 Harvest Festival on the Las Vegas Strip on Sunday night speaks volumes about America’s indomitable spirit of fortitude and resilience. The Vegas mass murderer killed at least 59 innocent people and injured more than 500 as his gunfire rained down on the crowd of over 20,000 from a 32nd floor window of the Mandalay Bay Hotel. Hat tip to Powdered Wig reader Steve Sherman, who sent us this pic.